For classic car enthusiasts there were plenty of options on Sunday 17th August to get along to an event. 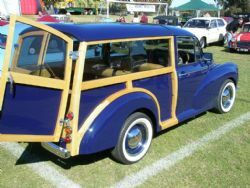 Last year I attended the All Ford Day at Warwick Farm and this year I had penciled in my diary to take a drive up to Newcastle and visit the Club Tomago Show and Shine but some months ago I was asked by Robert Brandes, the president of the Association of British Car Clubs to judge ten cars at the All British Day at the Kings School in North Parramatta. The magnificent weather on the day was equaled by the surroundings and the cars present. Most of the cars present were owned by various club members and they came out in force after the disappointment of last year’s wash out. The event was supporting a very worthy cause – the Arthritis Foundation of NSW and a cheque was presented to the charity to support Camp Footloose for seven and half thousand dollars on the day. In association with the car show was an arts and crafts fair with an enormous amount of entertainment for the kids. Dodgem cars, side show amusements and fairy floss were just three things I witnessed putting large smiles on the faces of those in attendance. Some of the largest smiles were on the big kid’s faces that not surprisingly had grey hair and were reliving their childhood hooning around the dodgem car enclosure. Every English marque was there ranging from battled scarred street driven condition through to concourse trailer queens. 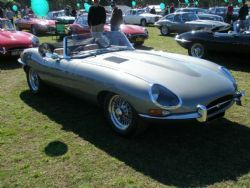 The Jaguar Car Clubs had the strongest showing in terms of sheer numbers and one of the Jag clubs ran a concourse judging for their members within the larger show. At the other end of the spectrum was a couple of lonely Aston Martins in their designated area surrounded by a sea of Healey's, Lotus, MG, Jensen and Sunbeams. One of the aspects I enjoyed was to see the cars driven to the event. I followed an immaculate grey metallic E Type convertible up Masons Drive and in my rear vision mirror was the full outline of a Rolls grille that threatened to devour the back end of my car. 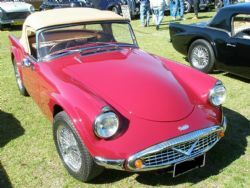 A lovely green Velox was beside me with a beaming driver and an immaculate Daimler SP250 soft top was in front of them. The event was touted to attract over 1300 hundred cars and there is no doubt it is massive but I am not sure there were that many cars there due to a number of vacant spots. There would have been well over a thousand though, which by any measure is a very successful turnout. Being a niche event the camaraderie was clear to see with everyone in attendance sharing their passion for all things British and catching up with old friends. In taking on the judging role I was asked to pick ten cars that I liked to win a certificate and a car care product pack from Meguiars. With so many cars to choose from it took some time to get around the various fields but in the end I felt I had a good mix of what stood out to me. We are not talking concourse here – probably half the cars may have been close in condition but were not original and the other half were regularly driven and some were showing the wear and tear matching their years. Still, a car is only original once and anyone with deep pockets can do a great restoration so it was good to see a number of cars not restored yet still clearly being enjoyed by their owners. So what did I pick? Well, I’ve always loved the classic lines of the E Type so there was a roadster amongst the choices with a Daimler SP250 and a big Healey rounding out the soft tops. 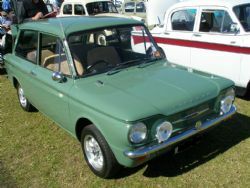 The other cars included a gun metal grey Zephyr, an immaculate customised Morris Minor Woody, a black with gold stripes Mini Monaco, Rover, Jensen Interceptor III and rounding out the awards was a nicely restored white MGA and a green Hillman Imp. The major sponsors this year were NRMA Vintage, Veteran and Classic Insurance and Meguiars. I would only have one gripe with the event – it needed more food stalls. There were only two and around the time you got hungry, so did everyone else. I gave up the queue after twenty minutes and ten metres forward progress.... I have no doubt a number of the participants were not happy to find that the designated entrance encompassed around two hundred meters of dirt road. Pristinely presented classics were covered in a layer of dust on the way in that had some die hards with the roof down not happy. The short, sharp hill before the section of dirt did nothing for the temperature gauges in some of the veteran and vintage cars and I overheard a number of patrons expressing their displeasure with this years entrance. For anyone who enjoys cars or anything British it is a big day out with plenty of trade vendors on site. Put a thousand plus cars in the mix, add the spectacular grounds of the Kings School, the arts and craft show and the kids entertainment and you can keep the whole family amused for many hours. I look forward to next years show which promises to be bigger and better!